In the field of marketing, there are a lot of work processes that are needed to be done to ensure that the products, branding, and services of the business are promoted and advertised accordingly. There is a need for organization when it comes to implementing marketing activities so that the entire management and marketing team can easily achieve their goals. 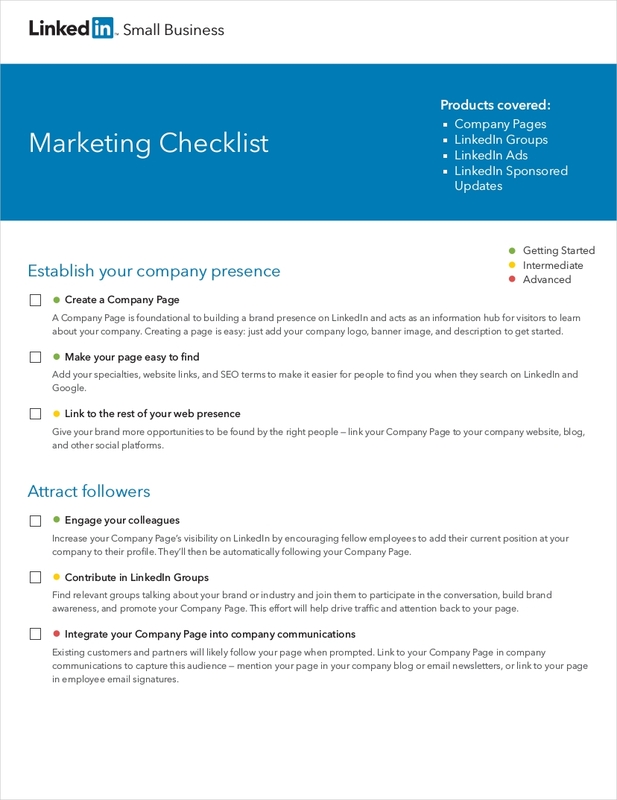 Aside from creating an executive summary of a marketing plan, another way to be organized may it be for a program or a project is by using a marketing checklist. Commonly, marketing checklists are used by the marketing team and events marketing organizers. It is a tool which main function is to properly allocate resources and efforts to achieve maximum results without overspending within the constraints of time. Using a marketing checklist template and referring to existing samples can help you to identify the things that you need to incorporate to your business’s own checklist used for marketing purposes. A marketing checklist for small businesses is truly beneficial to the continuous operations of the marketing department. With the usage of a marketing checklist, it will be easier for a business to identify the things that they still lack when it comes to their marketing aspirations. It will also be faster for them to create plans that they need to put into action to ensure that their marketing activities can produce the best results for the company. There are different kinds of marketing checklists that are created based on the specific marketing activity where it will be used. To create a working checklist, it is important for businesses to be aware of the usage of a particular marketing checklist so they can appropriately format the tool based on the content that will be beneficial for the organization of the specific marketing activity. 1. Marketing plan checklist. Companies usually create an annual marketing plan so they are already well guided when implementing the marketing activities that they need for the next operational year. Having a marketing plan checklist can help companies be aware of the information that are needed to be present in the plan that they will make. Web design checklist. A web design checklist is used by the company to ensure that their main website can provide the needed information of the end users. It is essential for the navigation or browsing journey of the customers to be fast, easy and user-friendly. More so, web design requires consistency to ensure that the brand of the business is reflected to its online presence. 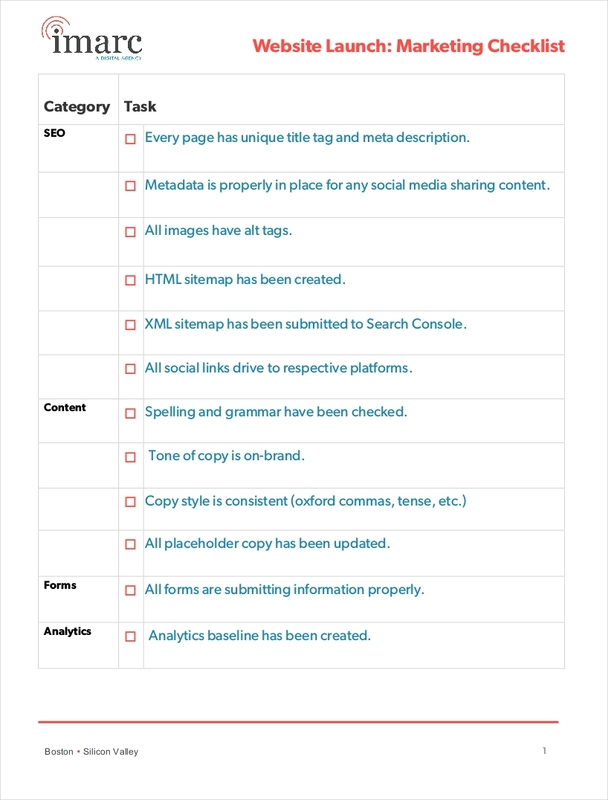 SEO marketing checklist. There are companies who spend a huge amount of money to make sure that they are seen online. Search engine optimization is an important part of this process which is why an SEO marketing checklist is necessary to always be prepared and ready for actual usage. 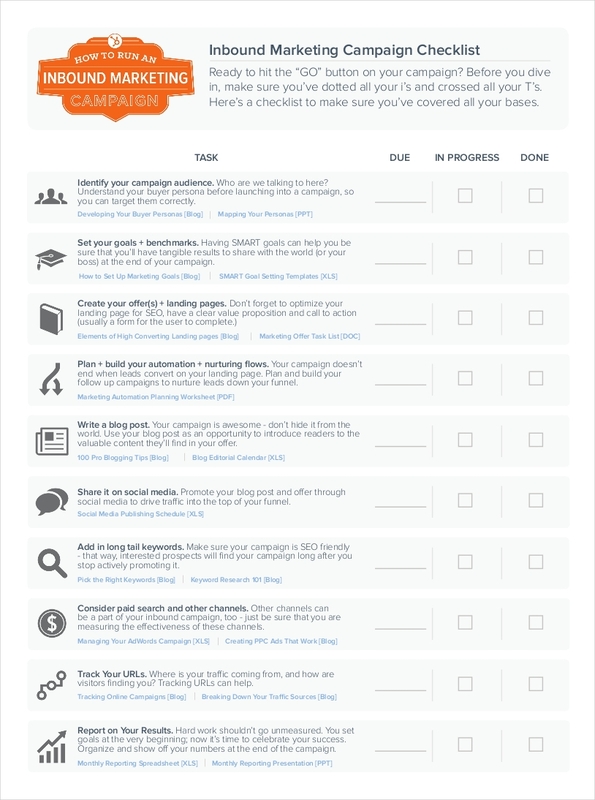 Social media marketing checklist. Nowadays, social media plays a vital role in delivering and disseminating the message that brands would like their target market to be knowledgeable of. A social media marketing checklist is used to ensure that the online activities of the social media pages of the company are relevant to the needs of the company when it comes to exposure and brand development. 3. 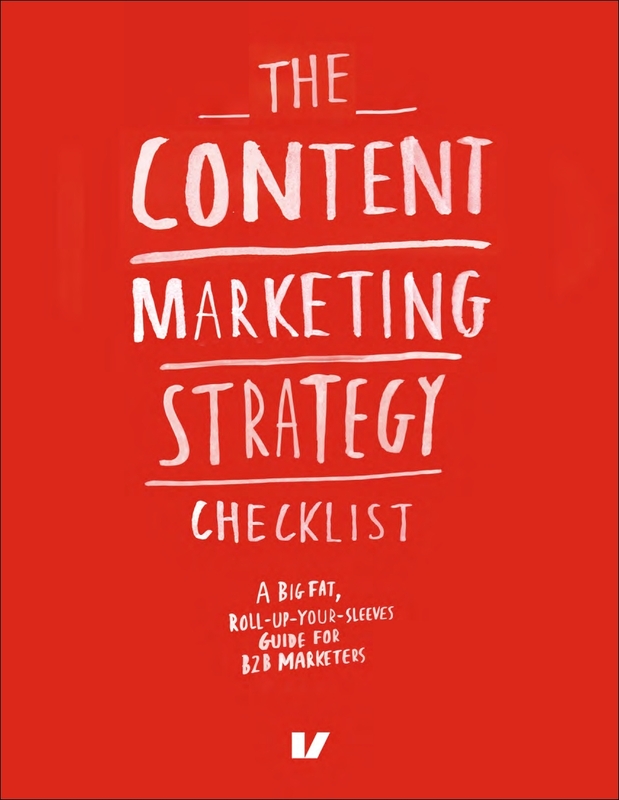 Content marketing checklist. All the marketing tools, mediums and platforms that are used for the promotion of the business can affect the impression and perception of both current and prospective customers. This is the reason why a content marketing checklist is important. This tool ensures that appropriate content can be placed in the specified mediums to help spread the correct business message of the company. 4. 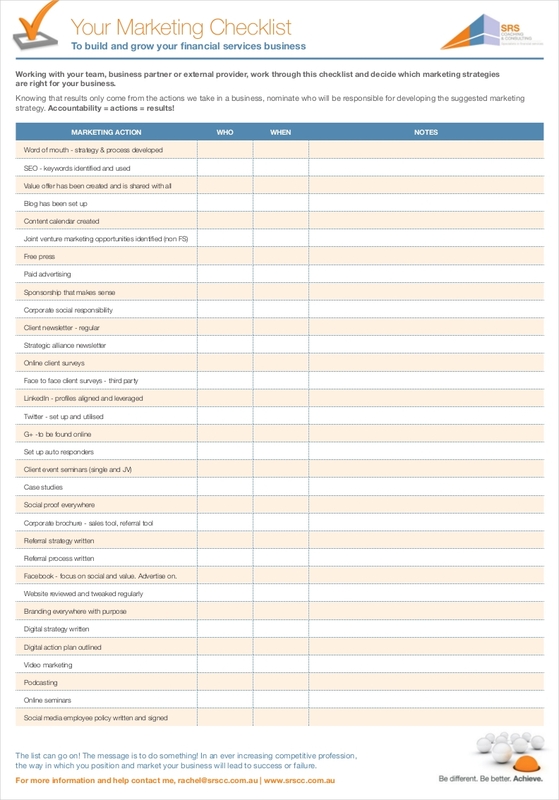 Event marketing checklist. Marketing activities are not only limited to print and online presence. There are events that are specifically made to promote the business, its products and/or its services . Some examples of these undertaking are product launches, charity gala, and branch openings. Event marketing checklists help create organization to all the factors involved in event management which includes the suppliers, the materials that will be used, the program flow and the workforce that will be responsible for the event planning and execution. For a marketing checklist to be highly-usable, you need to be aware of its content as well as the processes that are done to put together all these information in a single document. 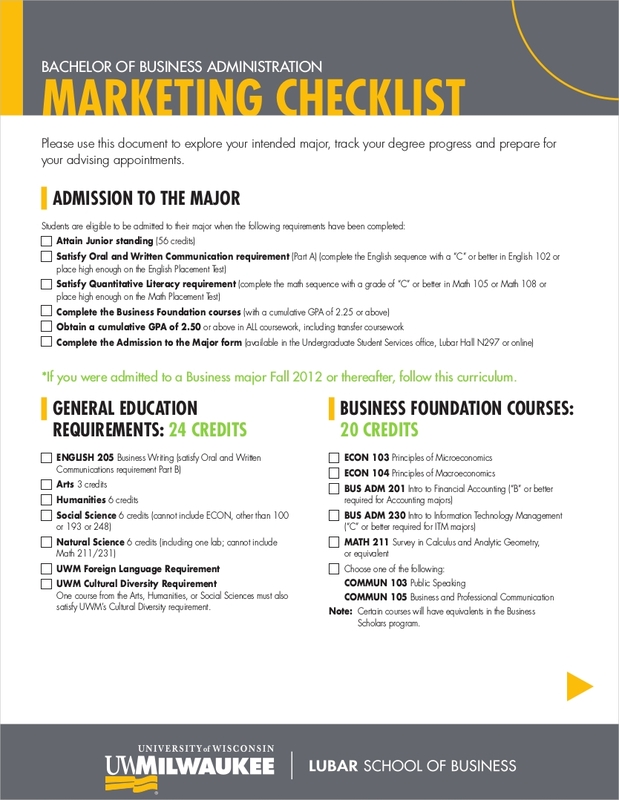 You can use a checklist in Word or PDF depending on how you plan to use it within the entirety of a marketing process. Some of the factors that you need to consider when creating a marketing checklist are listed below. Using a marketing checklist can help you incorporate simplicity in the steps that you will follow to achieve your desired results. 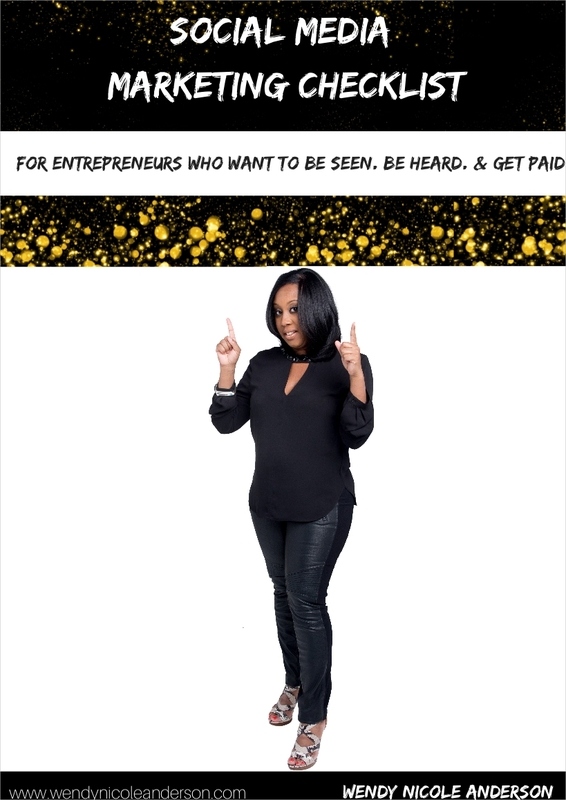 Since you are already aware of what you would like to implement and the processes on how you can properly execute those, you can simply follow a guide to help you attain success through a step-by-step procedure. Using a marketing checklist can make you more practical. Once you are already aware of your goal, it will be easier for you to take note of the things that you need and those that you do not need. This will help you to spend less and focus more on the things that matters for the particular marketing project that you are working on. 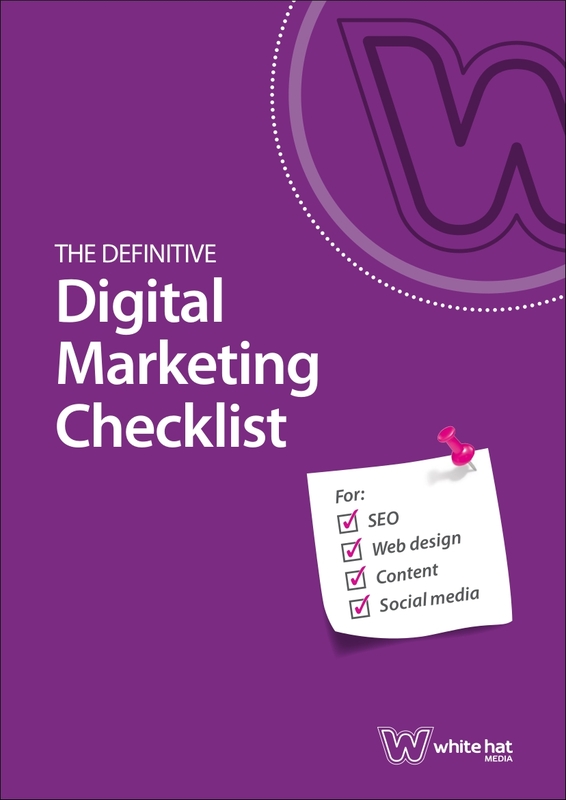 Using a marketing checklist can help you to directly target your goals and aspirations. If you have a checklist to refer to, you can minimize the possibilities of executing something that is not planned. This will allow you to have a clear definition of the output that you would like to achieve and the timeline that you will follow to realize it. Using a marketing checklist will allow you to avoid misunderstandings and miscommunication. If all items are already set, it is easier to discuss the flow of activities to all the stakeholders of a marketing activity. It will also be clearer on what to do first and what to give focus on for the specific time period. 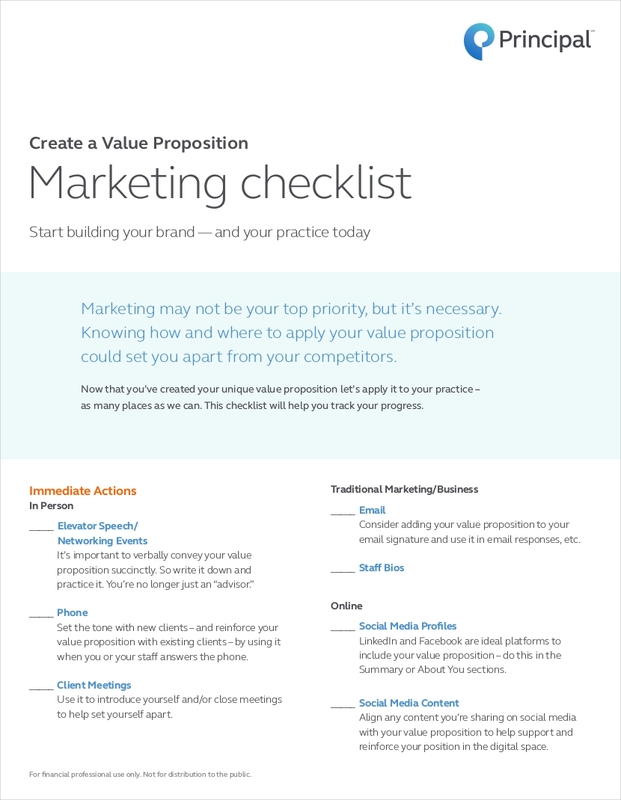 Using a marketing checklist can encourage you to be more proactive. Using a marketing checklist can put things in their right and proper places. If you will use this tool, you can have a more organized way on approaching circumstances and steps which can then affect the time and effort that you will use to achieve a specific project procedure or phase. Using a marketing checklist will let you not be distracted by different factors involved in the marketing process where you are currently immersed in. There are a long list of the things that you need to do to fulfill all the items present in a marketing checklist, hence, you can ensure that you are fully aware of all the things that are needed to be prioritized. Being organized through the help of this tool can make things easier, faster, and more efficient for you. Having a template to guide you when creating your marketing checklist will allow you to have a more professional document which you can use effectively. Though it is best to refer to templates and samples of quality checklists, remember to edit and revise the content of these documents so you can create a marketing checklist that is based on your actual undertaking, needs, and objectives.